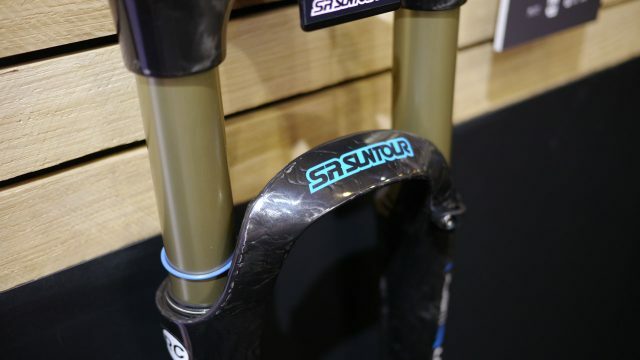 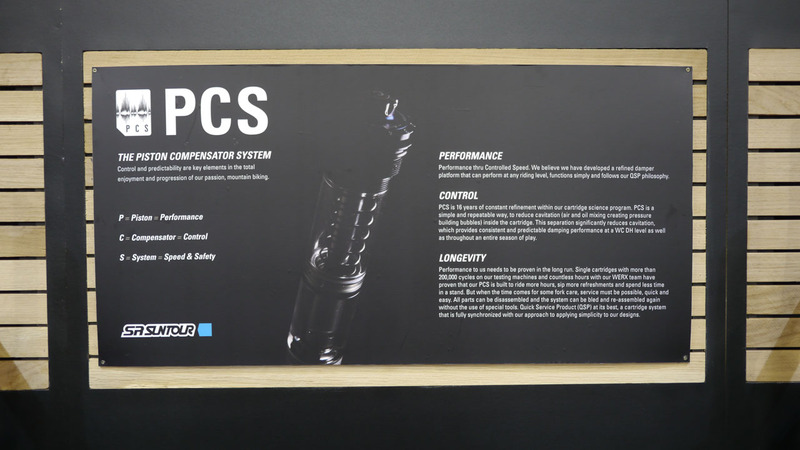 While they’ve previously been mainly known for the kind of OEM forks that come on budget hardtails, Suntour have spent the past few years quietly working their way upward into higher performance suspension products. 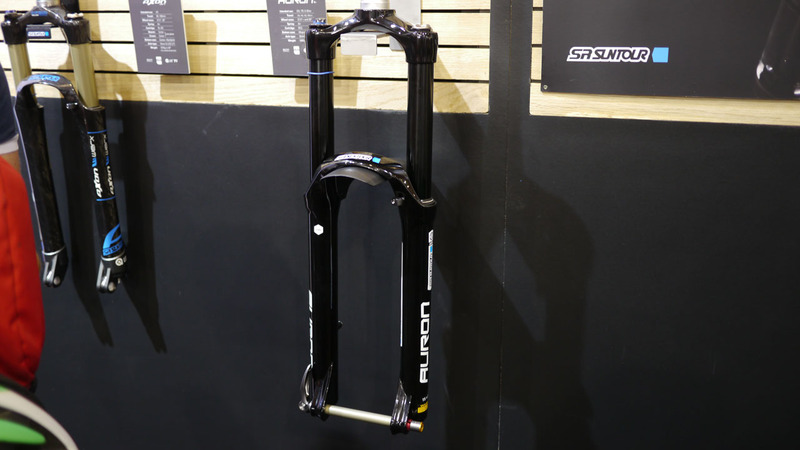 They had three new 2017 ones to show us at Eurobike. 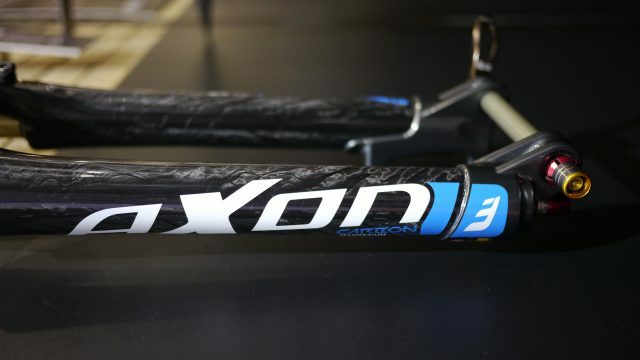 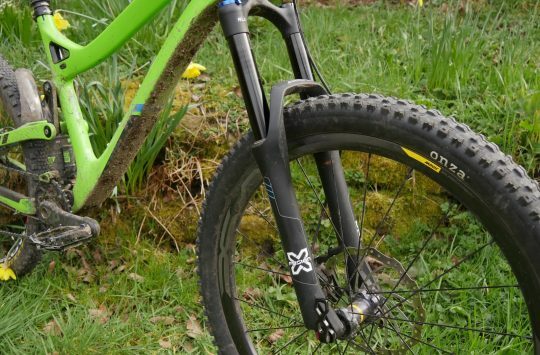 First up is the Auron, Suntour’s high end enduro/trail/e-bike fork for 27.5″, 27.5″ plus and 29″ wheels, with travel options of 130, 140, 150, and 160mm. 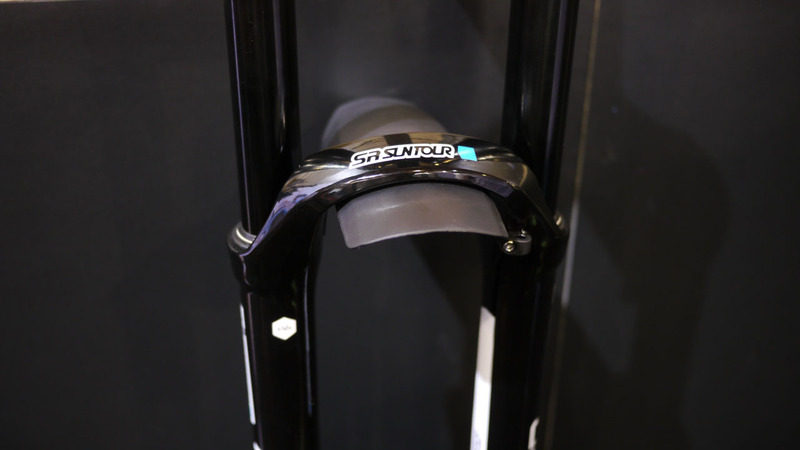 There’s also a travel adjust 27.5″ version, with 120-160mm. 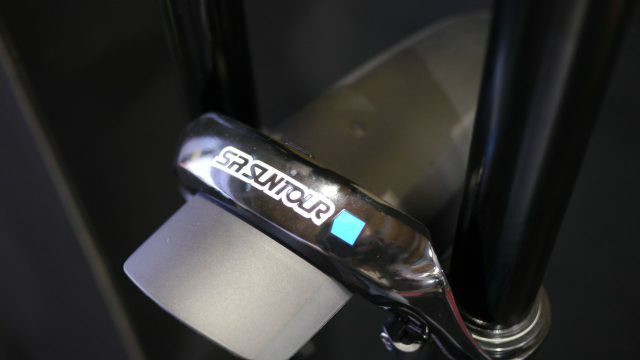 … is a specifically molded, bolt-on mudguard. 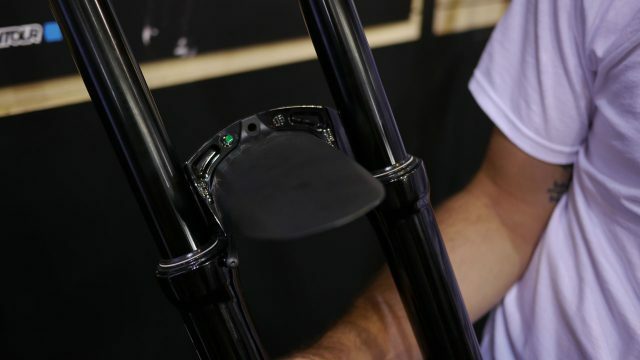 No more zip ties or velcro wearing holes in your paint. The magnesium lowers mean weights start at 1895g. 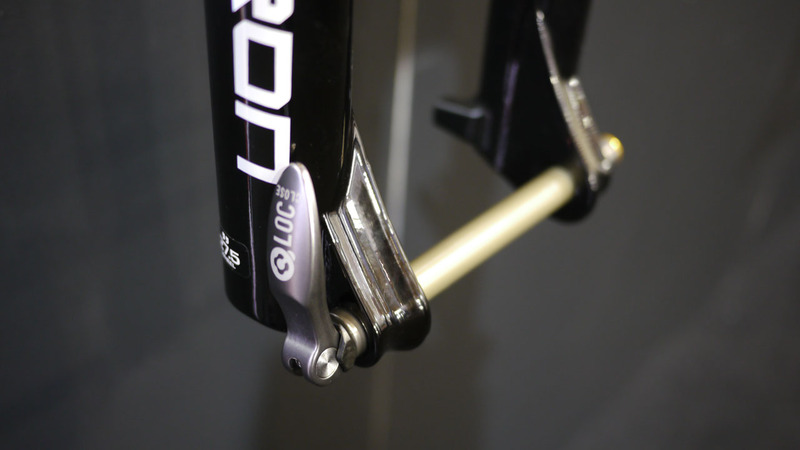 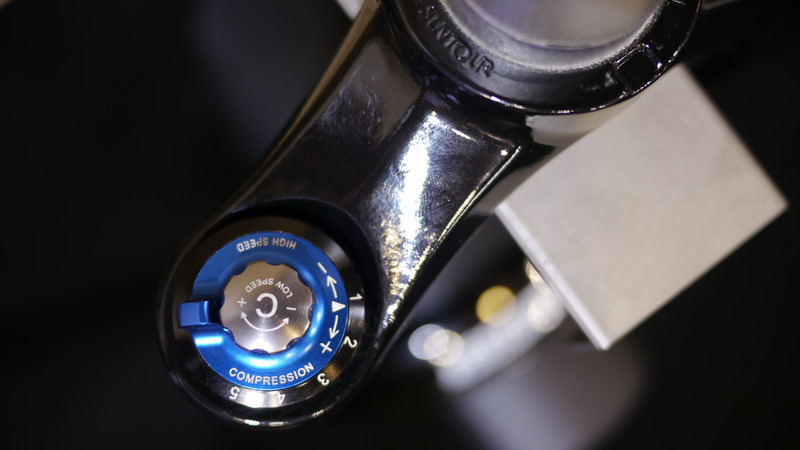 They also have Suntour’s Q-Loc axle, which has an expanding flange at the non-lever end. The Auron uses Suntour’s new PCS cartridge. 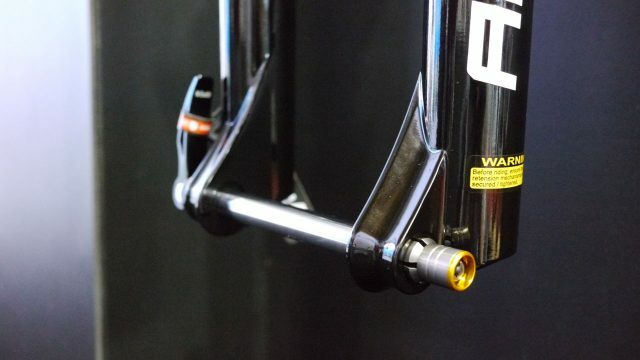 As well as that, much like on Pikes and DT Swiss’ newest forks, you can add volume spacers to the air side. 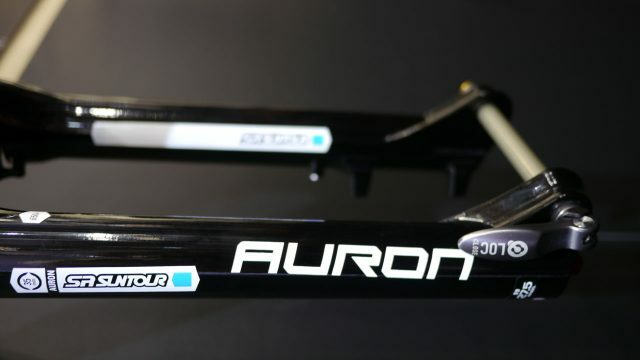 Moving slightly down the range is the Aion, not quite as fancy or adjustable as the Auron, but covering a similar range of travel options and wheel sizes. 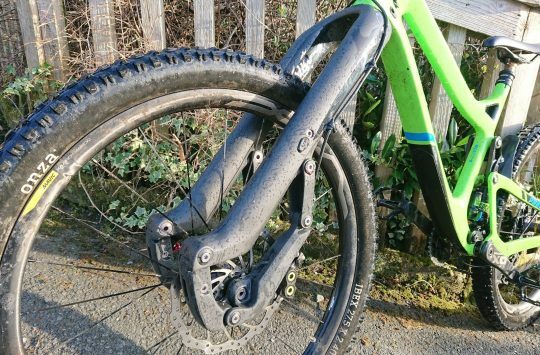 Once again with the fitted bolt on mudguard. 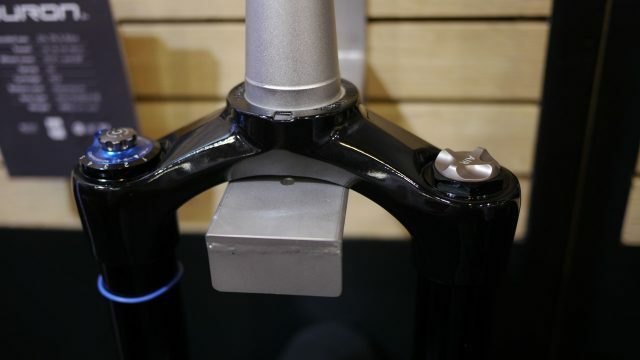 There’s that expanding flange. 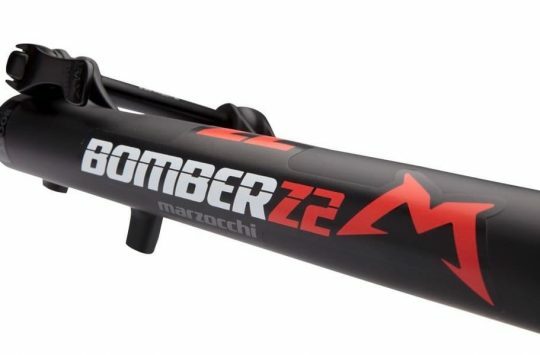 Which sounds like something your plumber quotes for, or a band name. 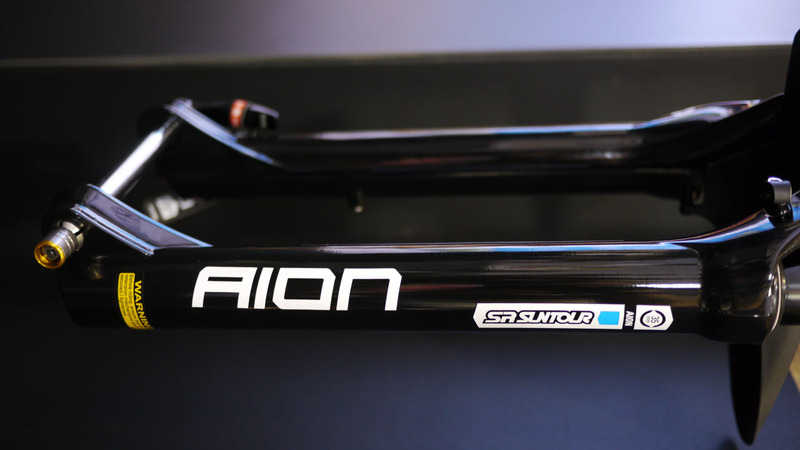 Weights for the Aion start at 1967g. 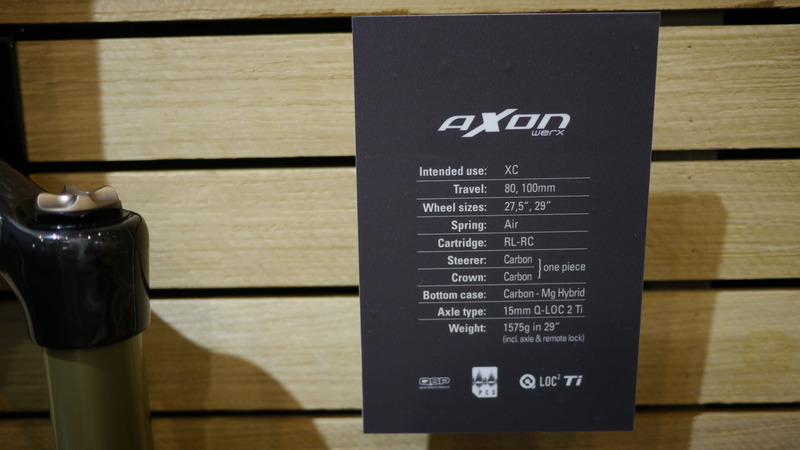 At the XC and weight weenie end of the scale is the Axon Werx. It’s mostly carbon fibre monocoque, with weights starting at 1564g. 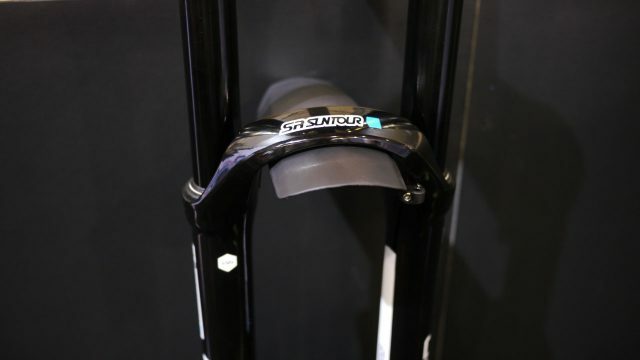 The only travel options are 80mm and 100mm. 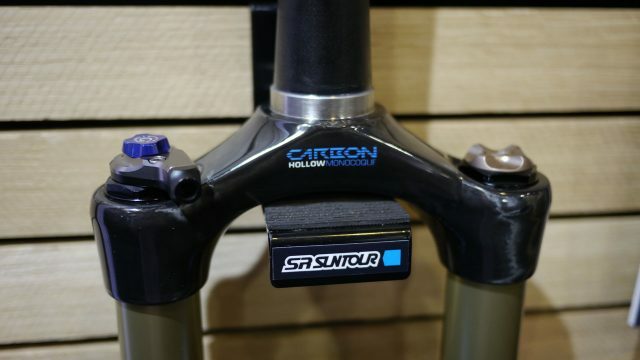 The lowers are also carbon, with magnesium dropouts.